The Lumenesk Garden Lighting system is a do it yourself, connect together system. 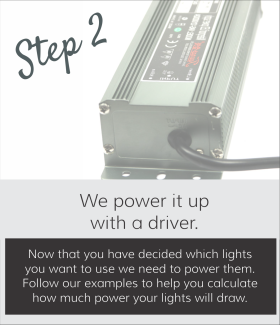 It's so easy you will have your lights connected in no time at all and if you didn't get it right the first time you can always re-arrange it or add more to the system. Follow our 3 easy steps. Step 1. 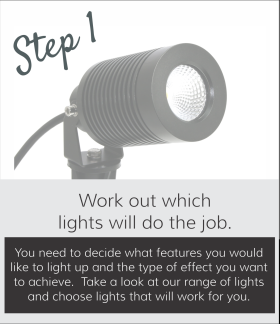 Work out which lights will do the job. Step 2. Choose the driver that will power the system. Step 3. Now we connect it all together. Not sure which lights to choose? How to calculate the driver required? Need help drawing a plan? Watch a video that helps explain Lumenesk. Watch a video that helps explain the drivers. 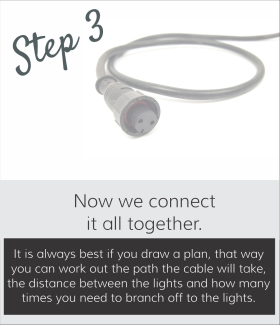 Helpful wiring tips. 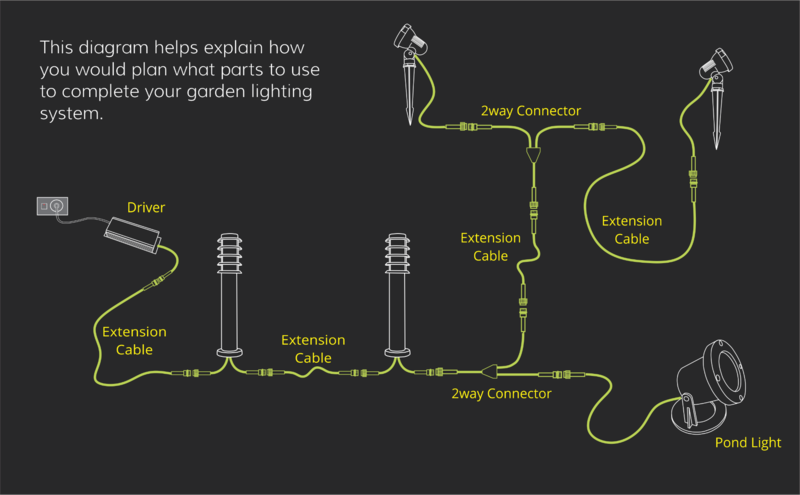 The diagram below shows you how the basic system works, choose lights and where you want them in the garden, Choose cables and splitters to connect the lights together, find a place to plug in a driver to run your lights.